As easy as it is to reach for the store bought 33 cent ramen, it’s not worth the average 980mg of sodium per package. That’s just under the Government of Canada’s recommended daily sodium intake of 1000-1500mg (depending on your age). You can still buy the 33 cent ramen for this recipe, just ditch the flavour packet and make your own easy broth. 1. In a wok or large pan, heat the sesame oil over medium heat and add the garlic and ginger. Fry for two minutes. If you have extra room in your budget, fry the meat of your choice or tofu at this time as well, remove the protein before the next step and set aside. 2. Add the liquids to the wok slowly and bring to a light boil. 3. Add the ramen noodles and the edamame to the broth until the noodles are soft. Remove pan from heat. 4. 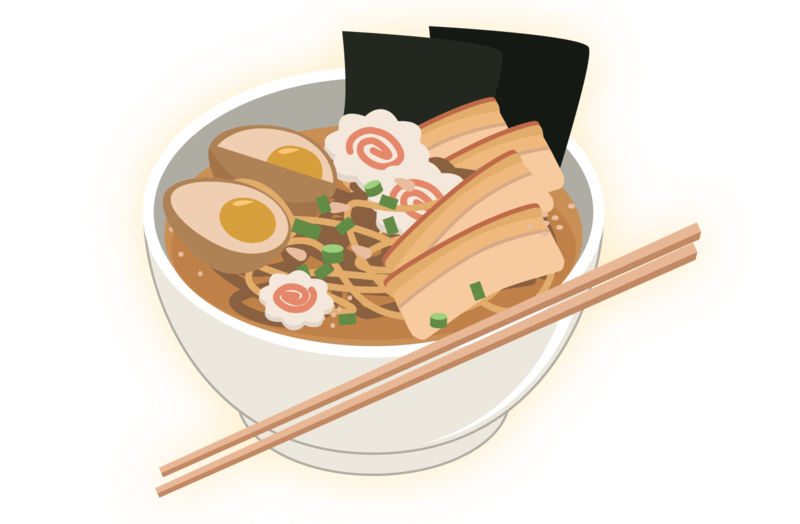 Carefully serve ramen in a bowl, topping with green onions, the protein of your choice, and a hard boiled egg or some nori (dried seaweed). 5. Finish off the ramen with sriracha to the spice level of your choosing. You can customize this recipe depending on your budget; if you can’t get any stock, use water and add soya sauce to give the broth more flavour. You can also substitute ginger and garlic for their powdered equivalents. Instead of edamame add whatever veggies (frozen or fresh) you have in your fridge.